If your education’s putting you in the hole, maybe don’t feel so bad because the university itself has a big loan to pay off. Ryerson University issued its first-ever bond for $130 million this past October, joining 12 other post-secondary institutions across the country and opening the door for future debt-financing opportunities. 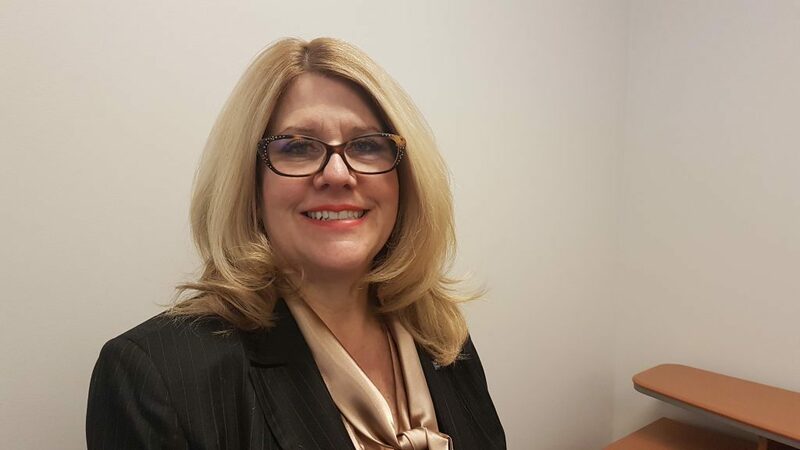 The bond will be used to finance the Daphne Cockwell Health Sciences building and other campus renewal projects, said Joanne McKee, chief financial officer at Ryerson. The university has primarily relied on government issued grants to fund the construction project, receiving $56.4 million from the Ontario government so far. The bond will cover a portion of the estimated $84 million multi-purpose building, according to an email from a spokesperson for Ryerson. The school issued a 40-year fixed rate bond, paying 3.768 per cent interest, semi-annually, with the principal amount due in 2057. Ryerson is the 13th school to venture into debt-financing. Alan Kaplan, associate professor in finance at the Ted Rogers School of Management, said there are two obvious reasons the school has done this. “One, (Ryerson) need(s) the money and (they) don’t otherwise have it and (they) want to get started on projects and two, it may be the right time to do this,” he said. The bond was sold to 13 buyers and plugged an interest rate just shy of 4 per cent, a fixed rate that is considered very low. When the bond was issued, the market was so ripe that McKee said the university could’ve issued two and half times the amount of what they did. 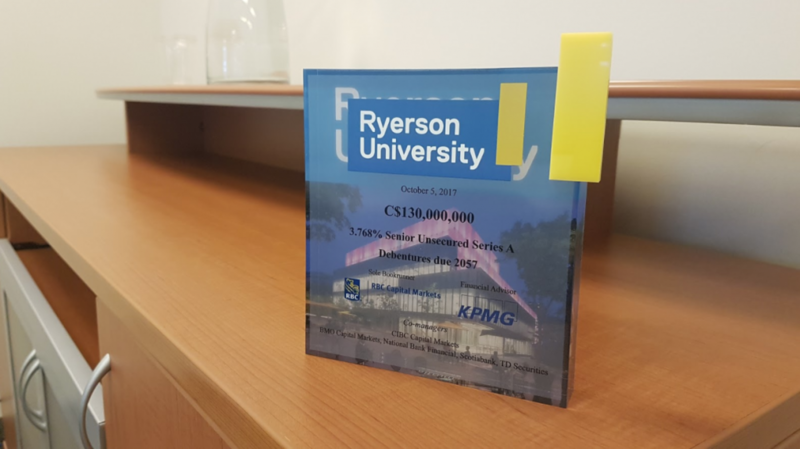 Ryerson University issued its first-ever bond worth $130 million in October 2017. A commemorative plaque was made to remember the inaugural debt venture. “We’re not going to be like Sears,” she joked. Other universities across the country have also found this to be true. Large post-secondary institutions, such as the University of Toronto and the University of British Columbia, have also issued bonds, in some cases, more than once, to fund capital projects. It’s a smart way Ryerson can invest in capital projects, said McKee. “It’s actually very good for us, because we know for 40 years, this is the fixed interest rate and the time value of money, 130 million in 40 years, is going to be a different face value,” McKee said. Alex Usher, president of Higher Education Strategy Associates, said using debt-financing for capital expansion can be a positive thing. “Borrowing that way is not always a great idea, but when you have interest rates at historically low or very close to historically low levels and you can get that kind of rate over a long period there is very little reason not to do it,” he said. But issuing debt isn’t a foolproof way of getting money. Usher, who is based in Toronto, said McGill University realized this in the early 90s. Kaplan said that at some point, it could become a problem if the school does this repeatedly. In line with the bond agreement, Ryerson will pay nearly $5 million in interest, semi-annually, for the next 40 years.